With the transition to value-based payment, medical practices are aligning with Accountable Care Organizations (“ACOs”) and clinically integrated networks (“CINs”). These enabling business structures, with the new payment models, require a new level of support to medical practices. A true Population Health Support Organization (“PHSO”) is the perfect fit in a dynamically evolving delivery landscape. Strategically, a PHSO aims to integrate providers, hospitals, payers, and services across the continuum of patient care. The interoperability between each of the entities reduces fragmented patient care and serves as the bridge between healthcare silos. A PHSO is the key platform to help providers transition into the new world of medicine by providing infrastructure for physicians to reshape and drive patient-centered care and engagement via efficient management of patient populations. It is a sound structure for those starting and maintaining a CIN, or simply for those managing medical practices that are evolving to meet the demands of the future delivery system. Much like Management Service Organizations (“MSOs”) of the past, a well-designed PHSO may also support physicians who wish to remain and thrive in private practice but still collaborate with other providers across the continuum. The objectives of a PHSO are three-fold: support physicians in sound financial management, quality improvement, and infrastructure needed for population health. These include moving the needle on quality measures and outcome performance, controlling total cost of care, and providing improved patient access to medical care. The goal is to improve patient loyalty and experience, ultimately keeping patients in the organized system of care. The PHSO also acts as an aggregator of key patient and administrative data; so it may become the conduit for the transfer of knowledge critical to success in managing the health of populations. Providing a contracting vehicle that allows and supports providers to assume risk and manage it effectively. Providing education to physicians—both employed and independent—on topics such as industry trends, leadership, care redesign, etc. Whether physicians are employed or independent, the PHSO can support them equally while providing a vehicle for improved operational and financial performance. Systems should begin by assessing their employed medical groups and conducting outreach to independent, affiliated medical groups to determine needs, timing of the value-based transition, and identify the gaps. These become the starting points for core PHSO services. An existing CIN, ACO, or MSO could evolve to become the PHSO. The key to success is either designing a new or adapting an existing organization to fill the identified gaps of support services needed to be successful under changing reimbursement and care delivery models. Lastly, the PHSO can be used to gain new relationships while strengthening existing relationships with physicians. These partnerships will allow the collective organizations to ultimately improve the health of the populations they manage. The healthcare delivery system and corresponding reimbursement models are undergoing significant change…which is unlikely to slow down. The old ways to practice medicine will no longer work in the world of a value-based payment system. A transformation of current practice structure, business strategy, and partnerships along the continuum of care will play key roles for success in the new healthcare world. 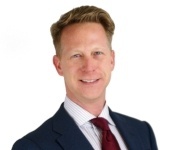 Mr. Brown is a vice president and clinical integration practice leader with GE Healthcare Camden Group and has over 25 years of experience in the areas of payer negotiations, program administration, and change management with healthcare provider, payer, government, and human service clients. He is an experienced leader in business planning and implementation for clinical integration and accountable care organization development across the U.S. He may be reached at g.brown@ge.com.